Water is necessary to sustain life, but in many parts of the world it is becoming increasingly scarce. As governments enact stricter legislation in an effort to preserve this vital resource for future generations, the irrigation industry faces a formidable challenge: more carefully managing water consumption and waste prevention while still remaining profitable. On-site testing and validation via SIMATIC PDM tool. come to rely on accurate and reliable of battery-operated electromagnetic flow meters is part of ideal water metering solution. The manufacturer SIEMENS produces the SITRANS F M MAG 8000 family of battery-operated water meters providing the flexibility to install a reliable water flow meter virtually anywhere without sacrificing accuracy or performance. No main power is required. 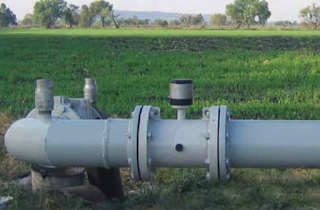 MAG 8000 complies with the custody transfer approvals MID and OIML R49 water meter standards and is specially engineered for stand-alone water applications such as abstraction, distribution network, revenue metering and irrigation. For more information, contact Ives Equipment by visiting http://www.ivesequipment.com or calling (877) 768-1600.